A nickel-plated brass reproduction of the early 1900s Vega armrest, secured by the banjo's tension hooks. 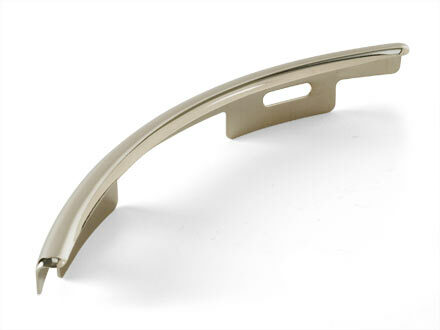 Fits a 24 or 28-bracket banjo with 11" (279.40mm) diameter rim, or Vega-style 10-15/16" (277.81mm) diameter rim and 3-1/2" to 4-1/2" (88.90mm to 114.30mm) bracket hook spacings. 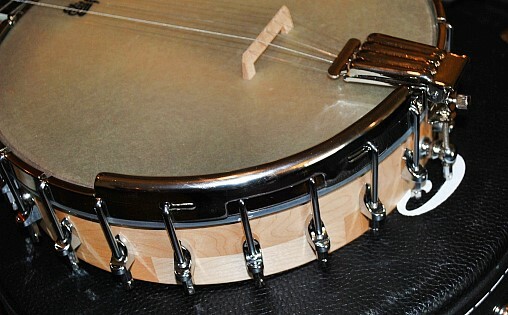 It will also fit the Deering Goodtime banjo. Royal Mail have decided that this small item constitutes a parcel, hence the postage cost which is £3.50. Elsewhere £5.00. 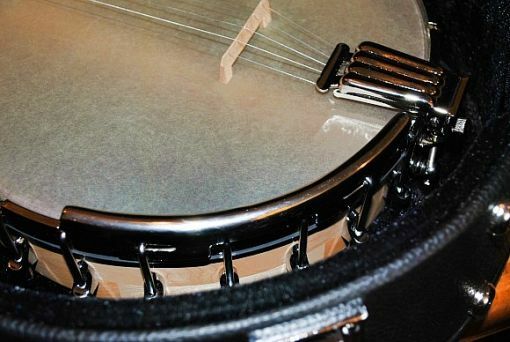 THE SLOT ON EBONY BANJO MUTE. CLIFFORD ESSEX BANJO CLAMP MUTE. 4 STRING.